A nationwide Bulk Residential MDU, Commercial and SMB services provider headquartered in Cleveland, with offices in Atlanta, Georgia and Grand Haven, Michigan, M3 is positioned to deploy expert teams coast to coast, additionally providing customized business solutions for cable and broadband service providers. 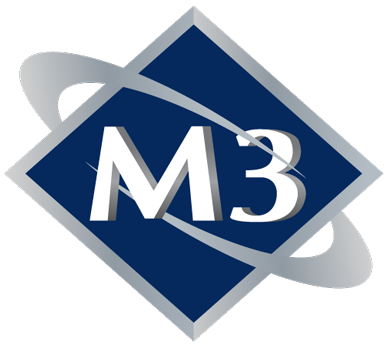 M3 is the leader in providing MDU, Commercial and SMB services with a wide variety of business solutions for service providers across the country, developing customized winning business strategies, solving the most complex problems, securing thousands of units every month and at the same time saving money for clients. We can do your heavy lifting! M3 provides its customers with reliable service and the highest level of integrity with a hand-picked group of the most experienced and resourceful professionals led by President and Founder and cable industry veteran, John Price. At M3, we listen to our clients. We understand their business needs and the constant changes in their respective industries. In fact, the professionals of M3 are steeped in the industry – well-versed with hands-on experience in the latest trends, technologies, regulations and other factors that influence our clients’ business and success in the marketplace. M3 gets the job done! The skilled professionals at M3 have been saving the nation’s largest cable and broadband operators time and money since 2001. M3 is ready to help solve complex problems through a variety of specialized services across all verticals. M3 has assembled a team of tested experts in nearly all facets of our clients’ businesses. This includes project management, contract sales, full service call center and billing operations experts. All-Digital conversion, address verification, data and document services, management consulting and customized projects. Our clients can attest that M3 has built an insider’s reputation known for its expertise, get it done attitude and fearless dedication to making our client’s business more effective, efficient and profitable.